Hello my lovelies! Today's Monday Blues posts comes a little bit later than usual because I'm still facing my post holiday laziness. I have a few things to tell you first. This is probably going to be my last post for this year (and the last Monday Blues of 2013 for sure) so I want to wish you all a very happy and amazing new year. 2013 was not a good year for me and I'm happy that it's over and I get a brand new start. 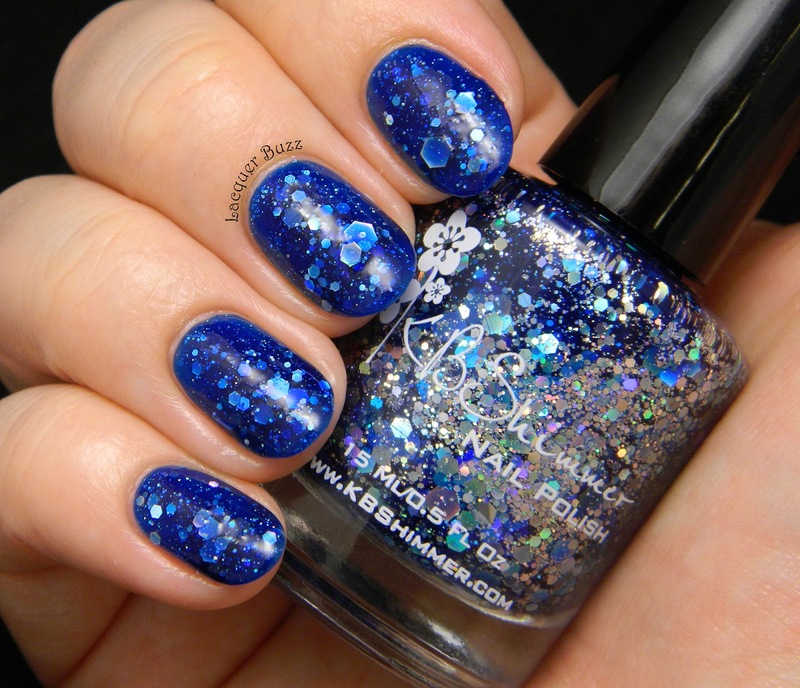 Secondly, for those of you that want to take part in the Monday Blues of 2014, Ariel over at Lacquer: the best medicine has created inlinkz codes for every month of the year. Click here to see the document with all the links. I will also have it linked to the banner in my sidebar for easy access. Hope many of you will join in 2014! Now that we have that out of our way, let's take a look at today's nails. Hello my lovelies and happy Sunday! I feel like this week has been a great one for my blog because I managed to post every single day. 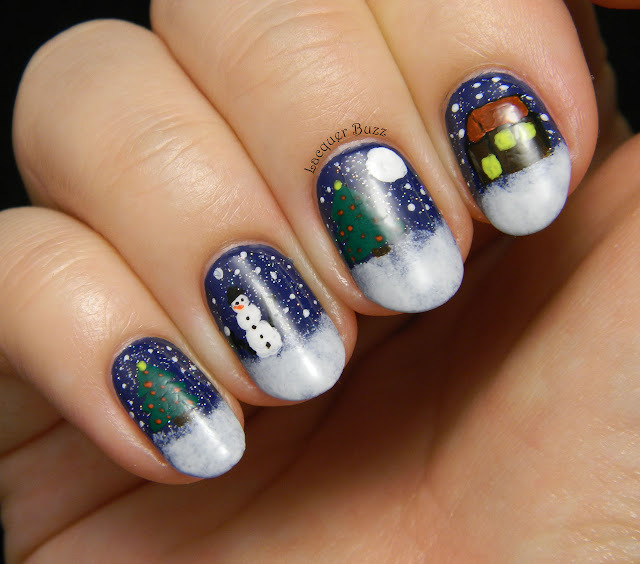 So what better way to end the week than another entry from the Getting Ready for Christmas challenge. 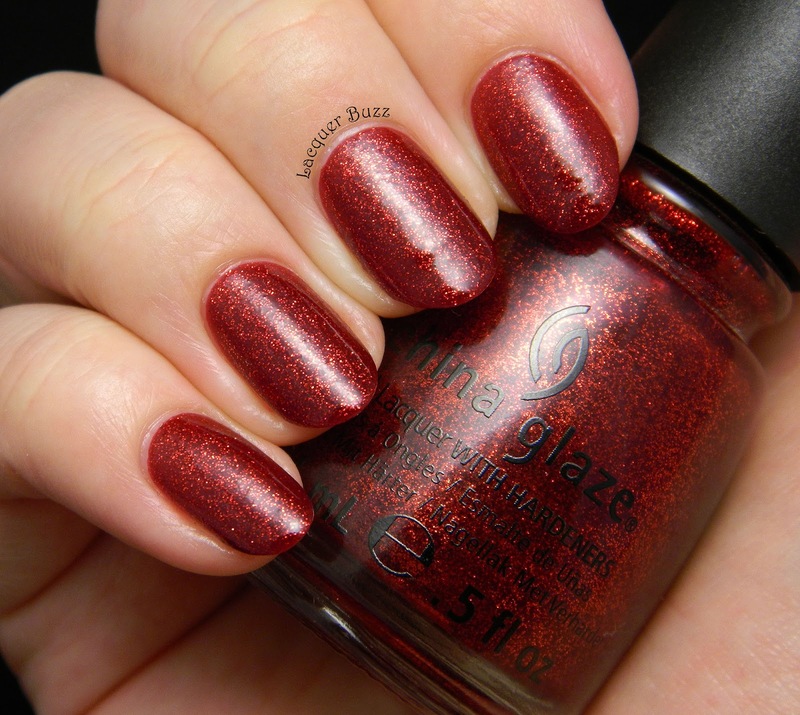 It's time for me to show you my classic shade of red for the holidays and I've chosen one that everybody knows and loves. I hope you will still enjoy these photos even if I'm sure you've seen this polish a lot. Hello my lovelies! This week has been full of swatches, which means it's time for some nail art. 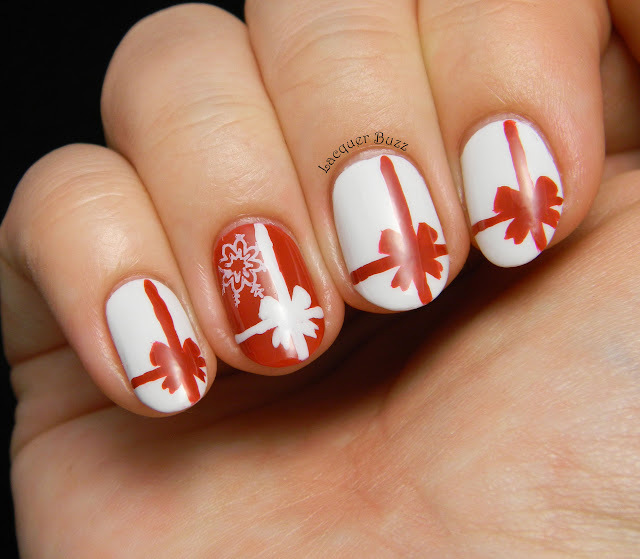 I've been waiting to post this entry for the Getting Ready for Christmas challenge for a while now because I had these nails ready from the beginning of the month. 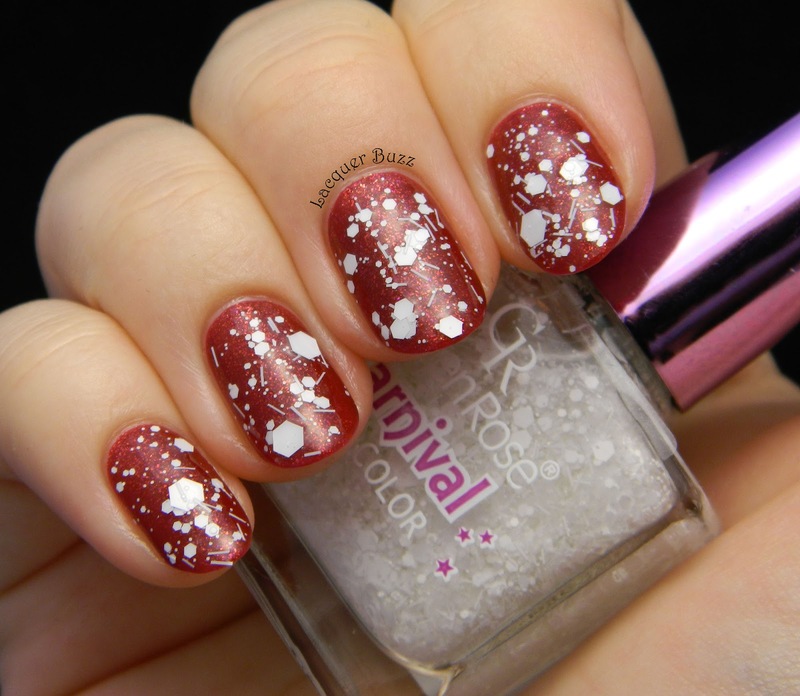 Snowflake manicures are my favorite thing to do in the winter and this time I went for a more unconventional color. But I love it! Hello lovelies! As promised yesterday, I'm back with the second half of the Sugar Mat holiday set from Kiko. If you've missed the first post you can go read it by clicking here. In addition to the warmer shades in this collection, the first post also includes photos of the box these come in so make sure you check it out if you are thinking of buying this as a gift for someone. It's the perfect gift for a polish lover in my opinion. Hello lovelies! This is the first of two posts that are a little different from what I normally do. I don't review whole collections and rarely do a post that includes more than one polish (besides nail art, of course). 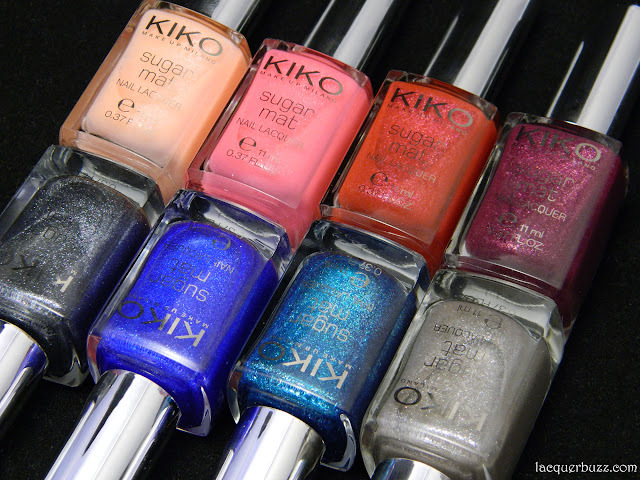 The lovely people at Kiko have come out with some holiday collections this year, two of which are made out of polish. The biggest purchase on my trip to Germany was one of these sets, and I decided to swatch all the polishes and show them to you as soon as possible in case you wanna get them yourself. These are available in all Kiko stores, as well as on their website that now ships to 25 European countries (including Romania). So without further ado, here are all the polishes in this set. Hello my lovelies! I finally have a bit more time for blogging and decided to catch up on some posts. These pictures are actually a month old, I just didn't have time to write a post to go with them. 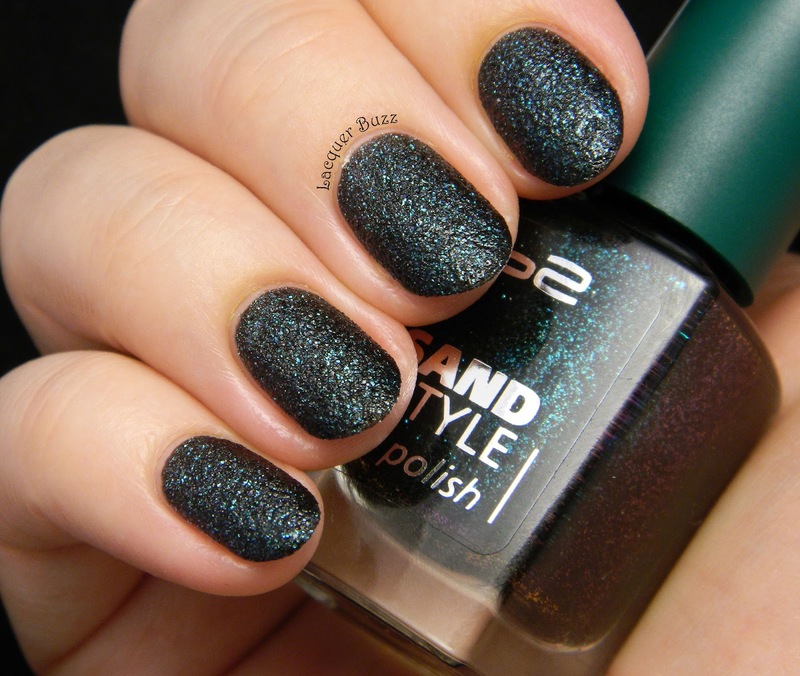 This is also a shade that is perfect for winter in my opinion. The finish is suede, which I absolutely love and feel like I haven't shown here in a very long time. Hello my lovelies! I'm back from my trip with lots of energy and polishes to show you. The Getting Ready for Christmas challenge is well on its way and I'm a little behind the other girls, but I plan to catch up soon. Today's theme is a little tricky and can be interpreted in many ways. I decided to not take the obvious approach of painting mistletoe on my nails and instead tried to paint something that can be found under the mistletoe: a Christmas sweater. 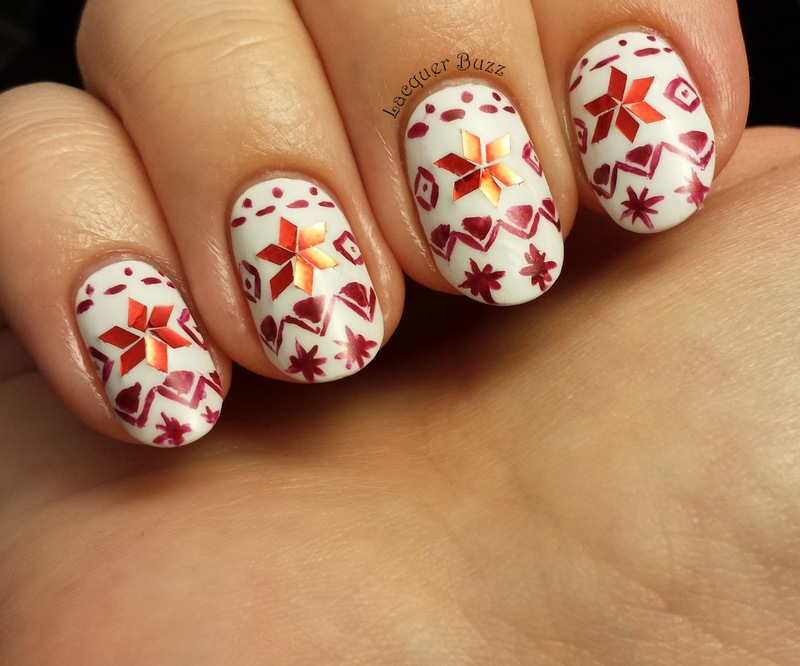 I know a lot of people like to wear this type of patterned sweaters this time of the year, so I tried to recreate it on my nails. It didn't come out quite as I wanted but I still like it. Hello my lovelies! I'm still away from home but I couldn't miss Monday Blues so this is another post I've scheduled for you. The manicure I'm showing you today involves a lot of stuff I love. 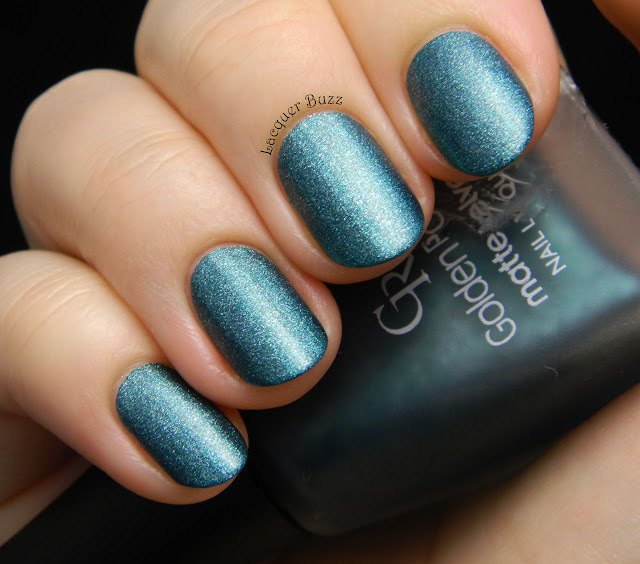 You all know that I'm obsessed with blue polish and my absolute favorite polish of all time is China Glaze First Mate. I was very happy when I found out that Zoya came out with a textured version of this color in the form of Sunshine. I immediately knew that I had to combine these two beauties in one manicure and that's how this was born. Hello my lovelies! This is a scheduled post because when you will be reading this I will be away on vacation. 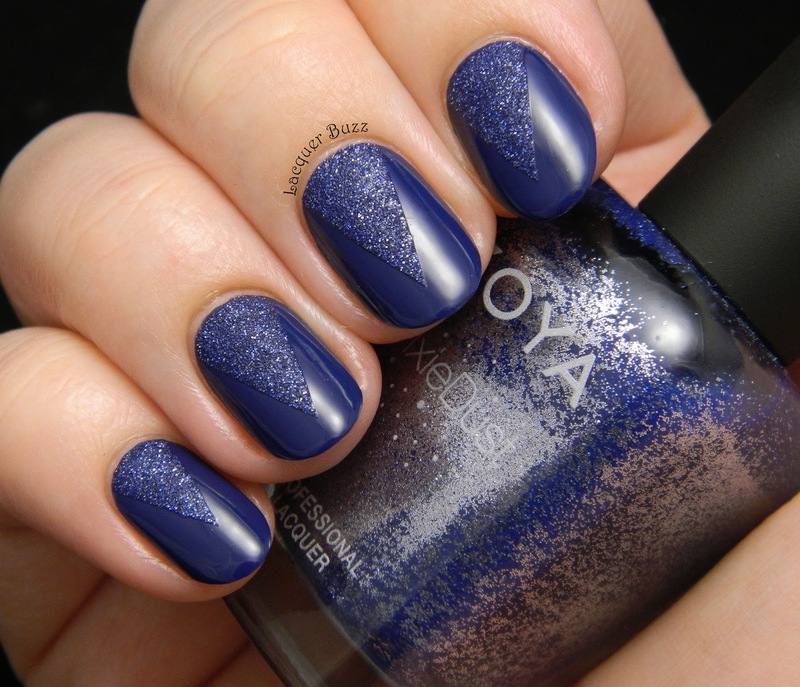 I didn't want to leave you without any blog posts so I decided to show you an older manicure that I haven't had time to post. This polish came to me as a gift and I'm so glad because I probably wouldn't have picked it up myself. I'm happy that I got to try it though! Hello my lovelies! 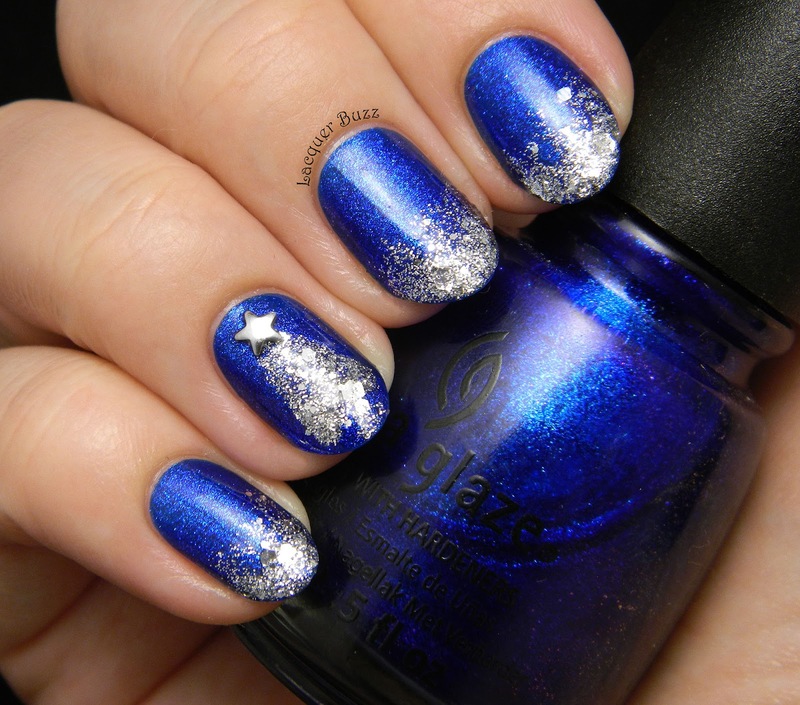 It's time for another post from the Getting Ready for Christmas challenge created by Elsa from Like A Candy Shop. I'm going on vacation today so I will take a little break from the challenge until I return. 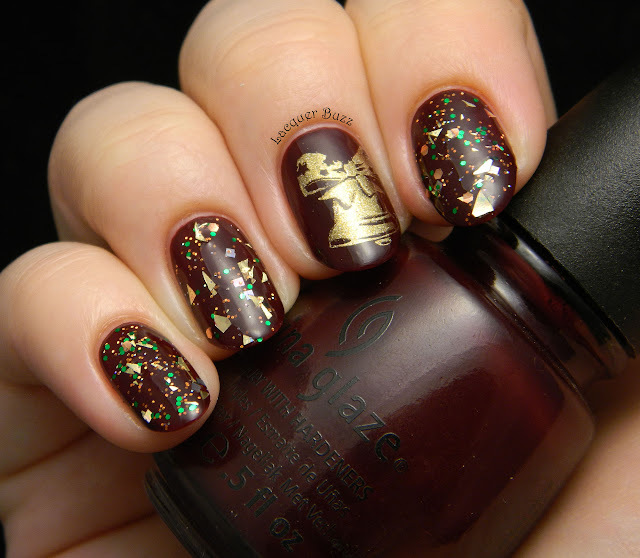 Today's theme is glitter overload, so I decided to do a manicure inspired by Santa's suit. It looks like this. Hello my lovelies! I've got a very special polish to show you today so let's just cut to the chase. We polish lovers all have our lemmings and our wishlists. 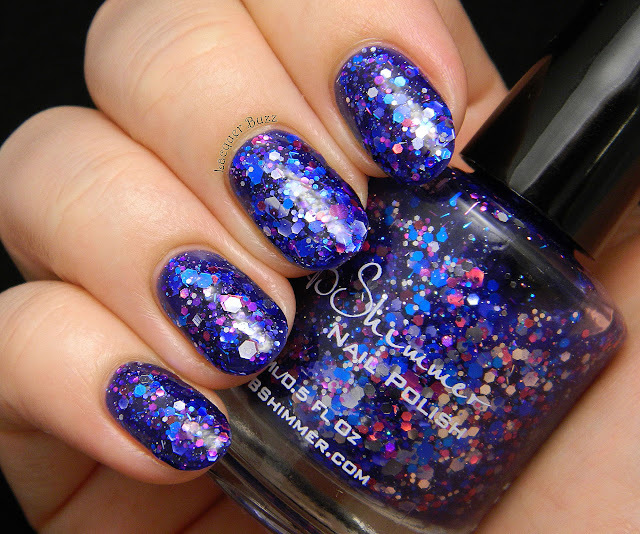 And usually at the top of that wishlist there's that one polish we always think about and hope we will get someday. The polish I'm showing you today was my number one lemming for many months. And through the kindness of Fingers Polish Mania I finally managed to get my hands on it. Naturally, I had to use it for my birthday mani yesterday. Hello lovelies and happy Sunday! Today is finally the day when I finish the Where In The World challenge. I'm not proud of myself because it took way more than I wanted it to take but I blame the lack of rules. I guess I just need a bit of a time guide if I wanna make a challenge work. Anyway, the last country of this challenge is my own, so I thought I would do a little special post today. The first of December is my country's national holiday and it also happens to be my birthday. I've always enjoyed having the day off for my birthday and people always joke that the fireworks are in fact for me. I decided to do a manicure with something that represents my country for me and I want to show you that Romania is so much more than vampires and Dracula. We have mountains, rivers and the sea. Beautiful landscapes that deserve to be seen and admired! 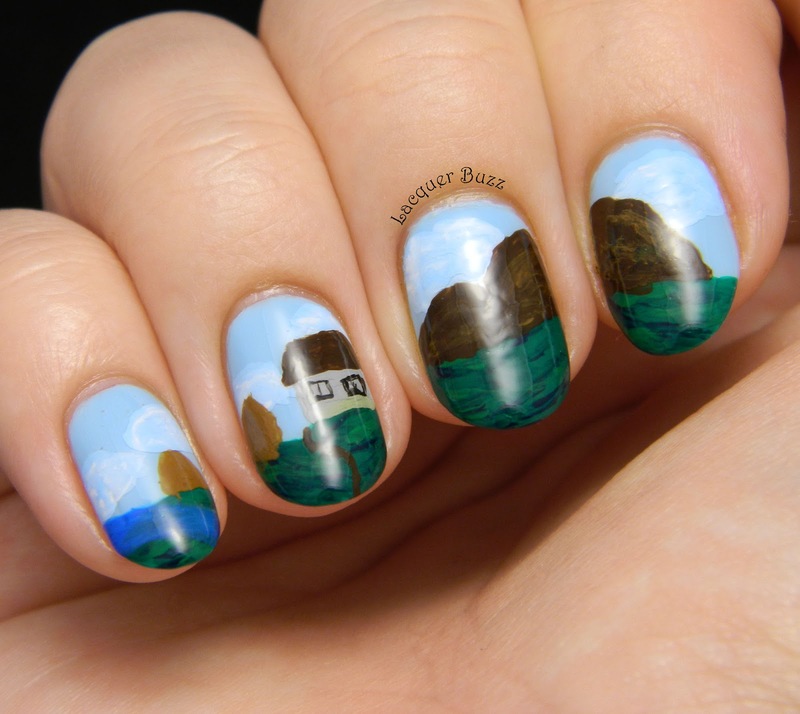 I tried my best to depict that on my nails.